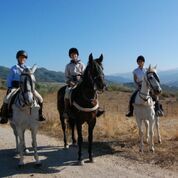 Hughie and Clare have created a riding holiday based at Almuña following the “caminos” and smugglers’ paths that abound in the exceptionally beautiful country in this part of Andalucía. They will take cork forest, over limestone sierras and along forgotten valleys. 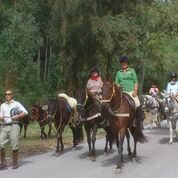 With delicious picnics in the wild or for a tapas lunch in a country bar. 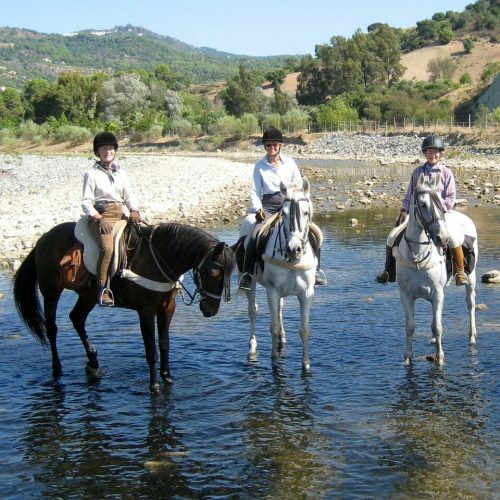 They have made the week into a Spanish equestrian experience which will include riding over the vegas of the most famous bull farm in Spain, lunching with the owners and 2 days at the dazzling Jerez horse feria soaking up the atmosphere and where fino, horses and flamenco dominate. 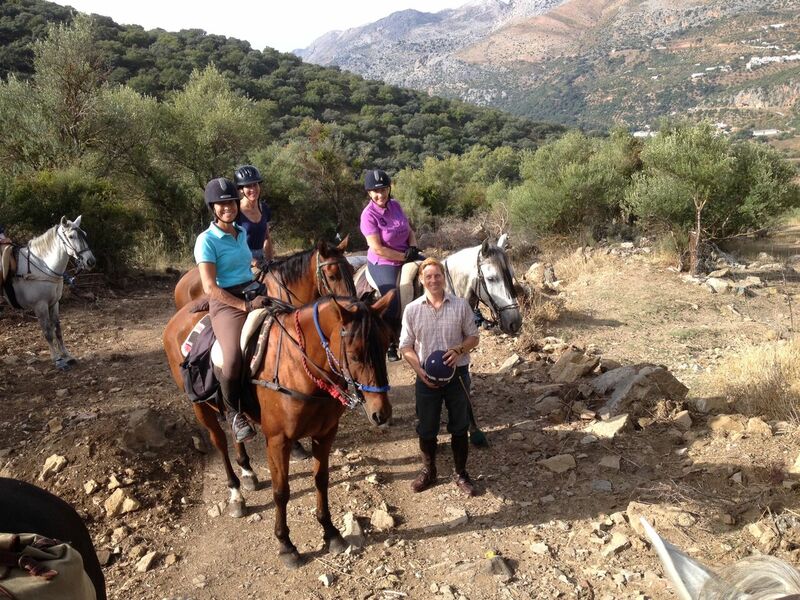 The non-rider is equally welcome where activities and expeditions are planned each day. The prices when quoted are per person full board, with quality wine with lunch and dinner as well all drinks whilst at Almuña. We meet the party at the airport and included is one pick up and drop off at the airport and transport throughout the week. 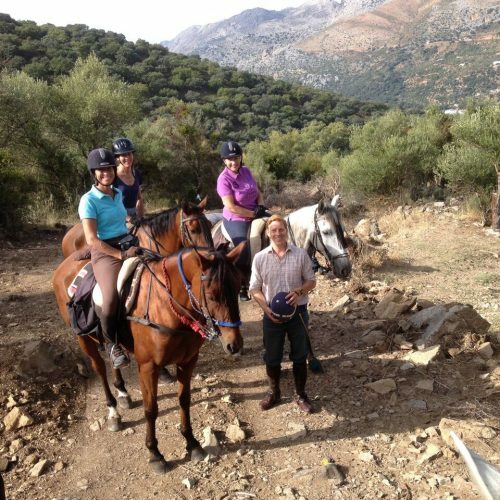 The services of English speaking and local guides, horse hire and entrance fees as specified in the itinerary are also included. 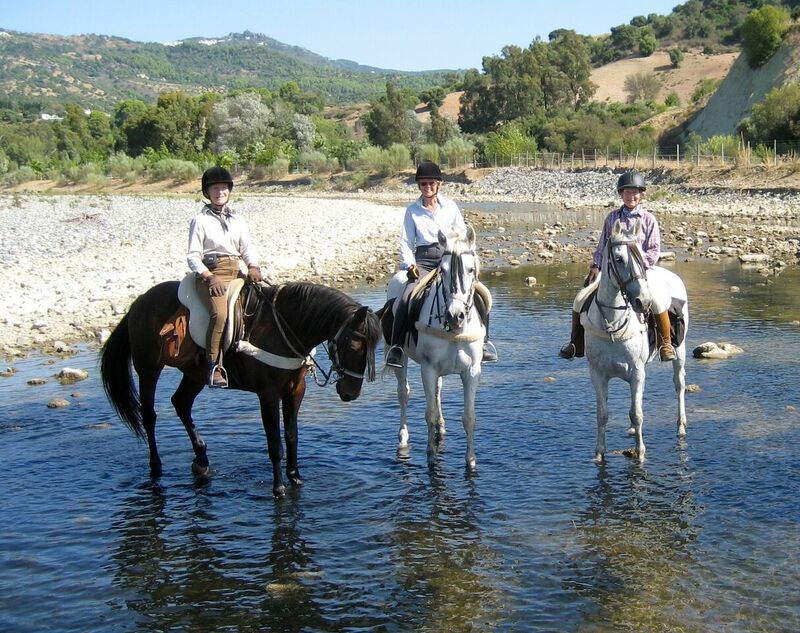 Accommodation en route: 5 nights at Almuña and 2 nights at a family hotel just outside Jerez.